In the summer of 1974 Turkey invaded and ethnically cleansed the northern areas of Cyprus in violation of international law and ethical principles of civilised conduct. 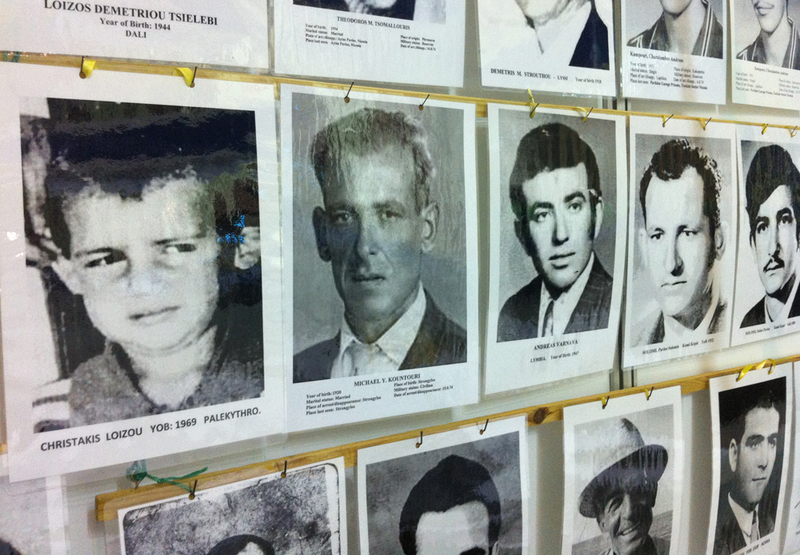 To mark 41 years since the Turkish invasion and continued unlawful occupation of one third of the Republic of Cyprus, Lobby for Cyprus and the Organisation of Relatives of Missing Cypriots (UK) is focussing on the tragedy of the ‘disappeared’. Told by relatives of the missing and through readings, our speakers will tell the stories of the ‘disappeared’ and the struggle of their families to find out their fate. These personal experiences illustrate the importance of continuing the fight for justice, to end Turkey’s impunity and to ensure respect for fundamental rights and the rule of law. The seminar is part of Cyprus Week at Theatro Technis, which marks 41 years since the Turkish invasion and occupation of the northern part of the Republic of Cyprus.